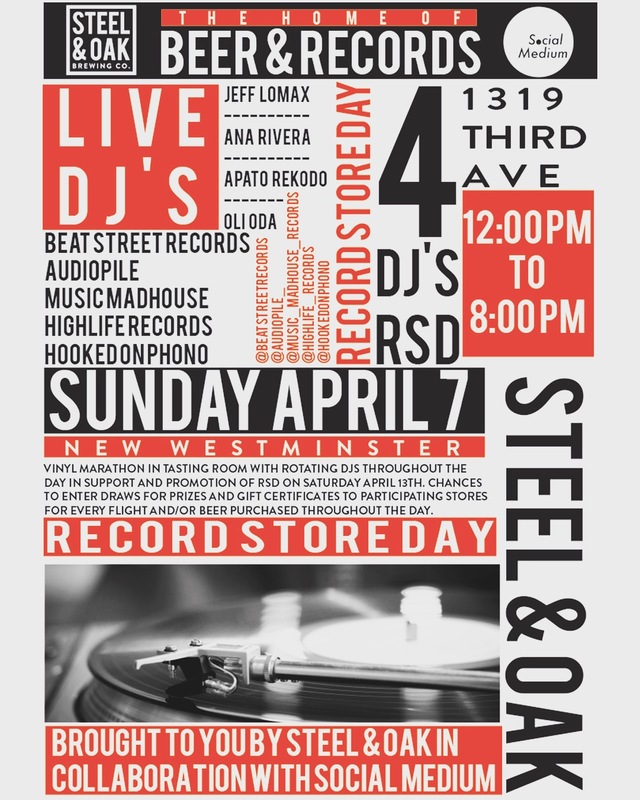 Purveyors of fine beer and good music Steel & Oak are throwing a pre-record store day party this Sunday April 7th Noon to 8pm. Noon to 8pm. DJs, Gift Certificates, Beer!